Legally Avoiding Taxes on the Sale of Rifles?? I am told that on the sale of every new rifle, there is built into the sale price an 11% federal excise tax but that there is no federal excise tax built into the sale price if you purchase the upper and lower individually. (Of course how beneficial this depends on the ultimate vendor set price for the two components) Is this true?? The excise tax is paid by manufacturers. Not ffl, retail. As such on a ar... if you build from lower, the excise tax was paid by lower manufacture. There are unscrupulous dealers who evade paying the tax, that sell rifles at low prices by slapping together uppers and lowers, which that can't do without being a manufacturer. To answer your question more specifically, there was an excise tax paid on the lower by the manufacturer. Not on the upper however. 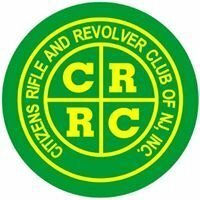 AFAIK, excise taxes are only paid on complete firearms. Thanks... will double check... I thought otherwise... or at least on AR lowers too. 1. Am I a manufacturer? •combining or assembling two or more articles. 2. If I manufacture an article and sell it in knockdown condition, am I liable for FAET? Yes. If you manufacture an article and sell it in knockdown condition (unassembled but complete as to all component parts), you are liable for FAET. 3. If I purchase an article in knockdown condition and assemble it, am I liable for FAET? •whether you assemble the article for business or personal use. 4. If I manufacture an article only for my personal use, am I still liable for FAET?